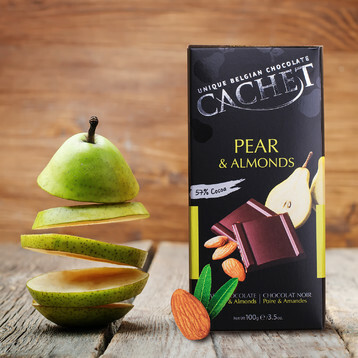 Cachet Pear & Almonds Dark Chocolate, Belgian chocolate with 57% cocoa. Net WT 3.5oz/100g. An intensely rewarding experience. The satisfying nutty crunch of roasted almonds and the subtle innuendo of pear comes together in perfect harmony 3.5 oz. bar. 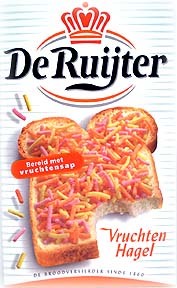 Contains milk, almonds, soy. May contain: tree nuts, wheat and eggs.